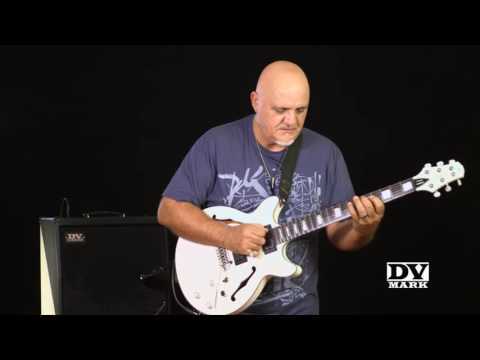 Frank Gambale's power, character and virtuosity are immediately recognizable. If you aren't yet aware of this, check him out live and witness his amazing sweep picking technique, which remains in a class of its own—despite widespread imitation. 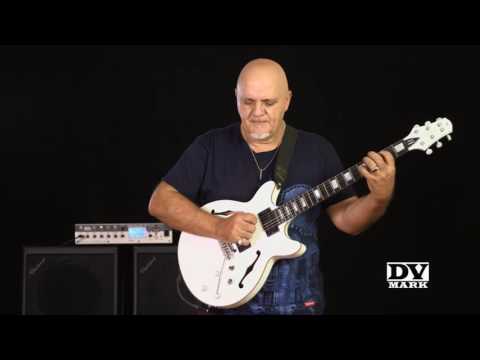 Following the previous Frank Gambale Combo 112 model, we developed -together with Frank- the new FGC 121 Frank Gambale signature combo. 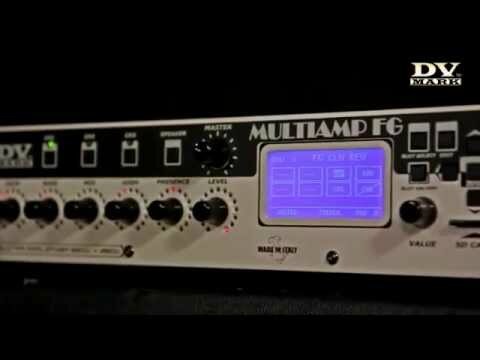 It features two independent channels with separate gain, EQ controls and presence, to taylor your favorite sounds from extremely clean to highly distorted. Thanks to its professional-grade 120W DV Mark solid-state power amp, you can obtain ultra-clean tone at any volume, with incredibly warm sound without distortion. 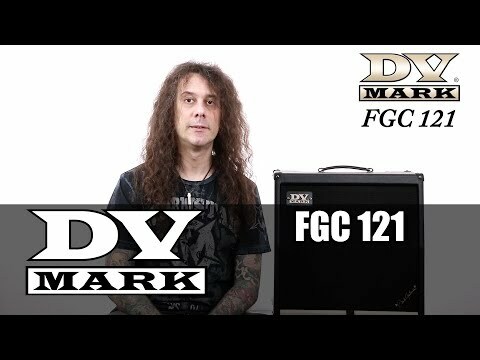 And for crunch or highly distorted sounds, you simply increase the gain on the lead channel, The FGC 121 gives you classic tone, improved dynamic response and warm, natural sound. The PRE OUT / AMP IN loop allows to connect external pedal/effects. The slant design in this combo means that the sound is spread out more than with the more common flat-front combos. The angled position of the speaker allows you to better hear yourself on stage. 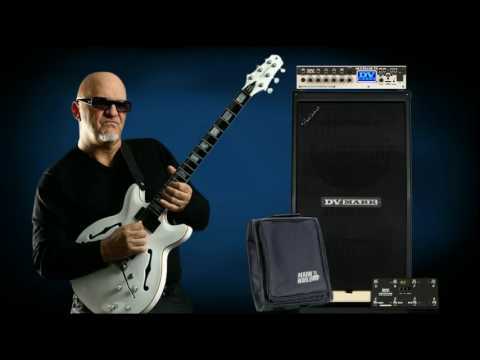 The Black&White very cool look is the hallmark of Gambale’s signature combo and cabinet (and Multiamp FG special edition) models and it shows the passion that went into its design and manufacturing. The personality of this signature combo is not only heard, it's also seen!